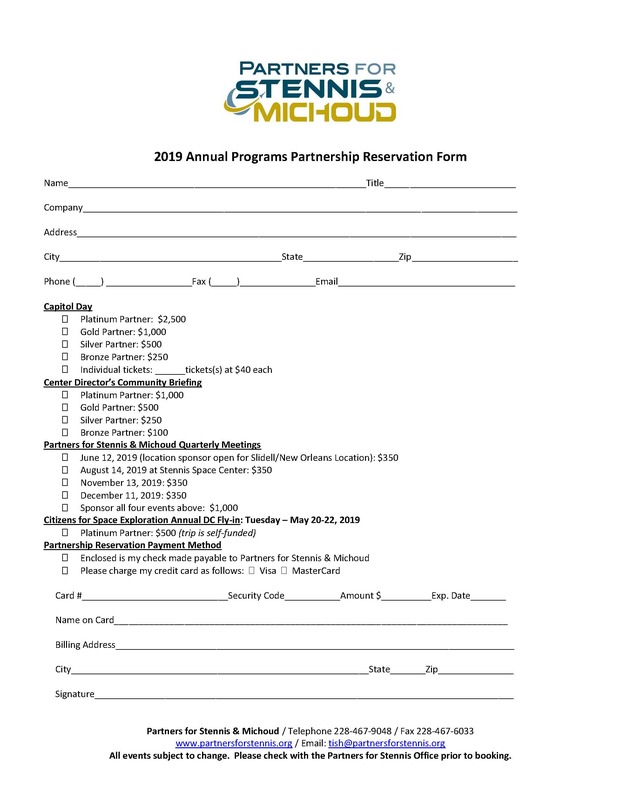 We offer several opportunities for the business community to be involved with Partners for Stennis & Michoud and its annual meetings, events and programs. Click here to download a copy of our latest opportunities packages and click here to download the reservation form. 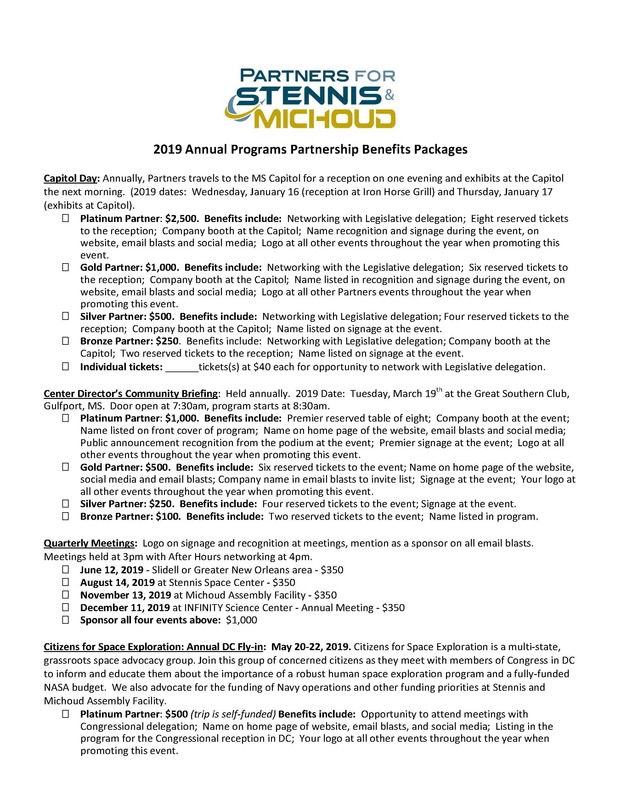 If you have any questions, please call our office at 228-467-9048, or email us at tish@partnersforstennis.org. All events subject to change. Please check with the Partners office staff prior to booking.